The first weekend in November many of the nation’s top cowboys and cowgirls will be in Winnemucca, Nevada competing at the Western States Ranch Rodeo (WSRRA) Finals for the championship title! In conjunction with the WSRRA Finals is the 3rd Annual Great Basin Gathering, Music, Poetry, and Gear Show! 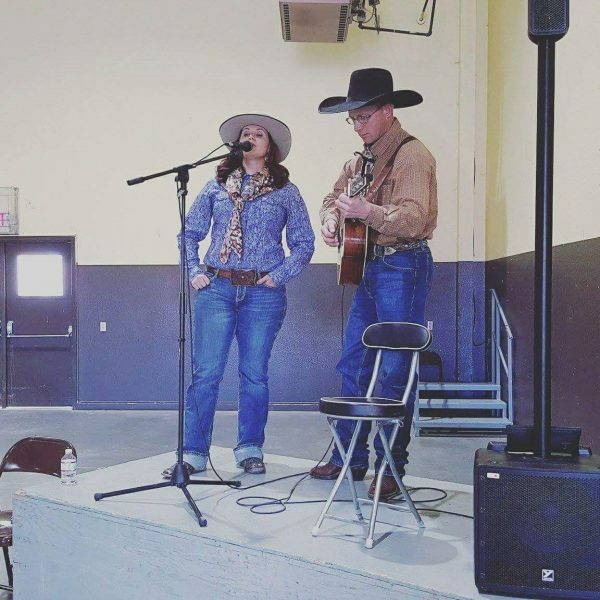 This is a place for friends to gather and do some gear trading while they listen to live performances of cowboy music and poetry. 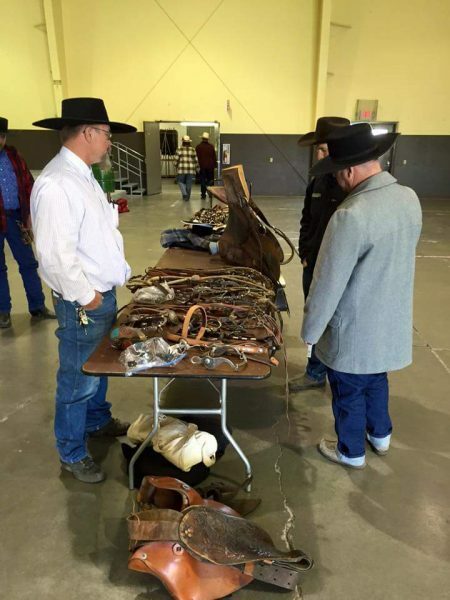 Fred Buckmaster’s table of trade items at last year’s event. 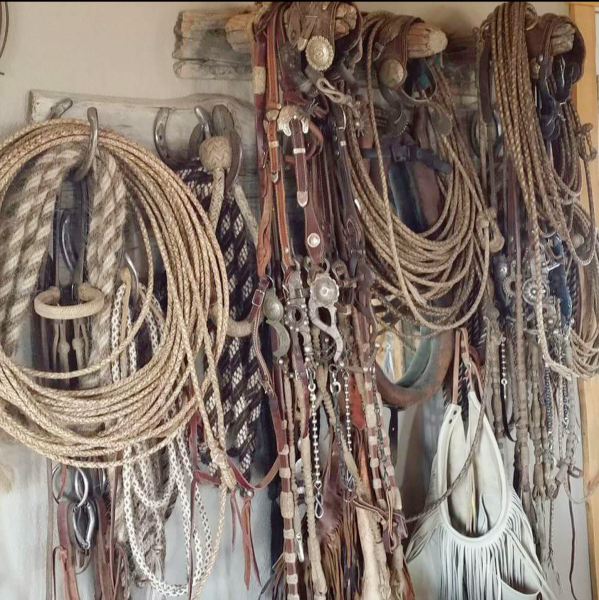 As most people in the cowboy world know, we like to trade! We like having quality, custom made gear. It is fun to trade with others who might have something you have been wanting but didn’t have the money to buy it. At this event you can pay a very minimal fee to have a table to lay your wares on. Other people do the same and you can just walk around and check their stuff out and see if they might be interested in trading some of their gear for some of yours. All while enjoying some great cowboy music and poetry performances! With a few familiar faces performing same as in years before, mixed with some new talent, they will make this year a fun event to attend! Jessica Hedges and Matt Robertson performing together at last year’s event. The Gathering takes place in the Exhibit Hall at Winnemucca Event Complex on Friday November 3rd and Saturday November 4th, 2017. Rico Nova & The Desired will be playing for the dance Friday night after the rodeo. All ages are welcome. On Saturday Jessica Hedges, Cowboy Thatch, and Ira Grywusiewicz will all be preforming as well. $10 a day or $15 for both gets you in and a table if wanted. Pay at the door. Hope to see you there! Stay tuned, because after this all takes place we will have a follow up blog showing highlights of this year’s event!